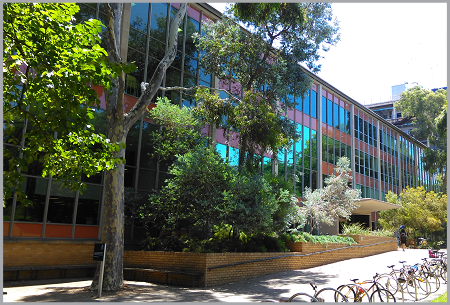 The Baillieu Library is the University's largest discipline library and is central to teaching and research in the arts, humanities and social sciences. Its collections support the activities of undergraduates, postgraduates, academics and researchers. The Baillieu is also home to the University Library's Special Collections, which include Rare Books, Rare Music and the Print Collection. The Reading Room serves as the access point for these collections, as well as for the University of Melbourne Archives and the Grainger Museum collection. 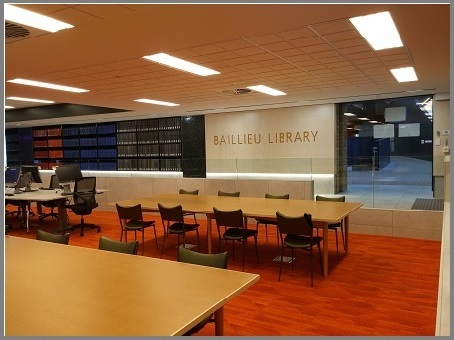 Find out about the history of the Baillieu Library below. 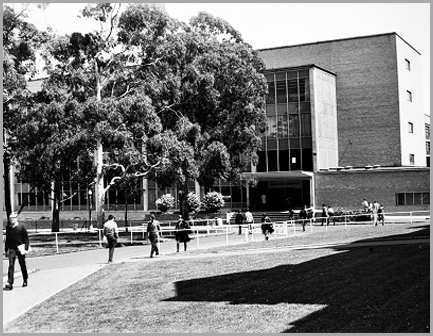 The Baillieu Library opened in 1959; it was named in recognition of a substantial bequest by Edward Lloyd Morgan Baillieu on behalf of the William Lawrence Baillieu Trust. Additional funds were raised by the University Centenary Appeal, and from State and Commonwealth grants. Previously, the University's Central Library had been housed within the Old Quadrangle. It was struggling to accommodate the library's expanding collections and to provide sufficient study space for the growing student population. From the early 1930s, University Librarian Leigh Scott began to raise his concerns regarding the need for the situation to be addressed. In 1945, architect John F.D. Scarborough was commissioned to prepare designs for what would become Australia's first purpose-built university library. Construction began in March 1957, under the oversight of University Librarian Axel Lodewycks, and the building was completed in December 1958. Find out more about the design and construction of the building in The Architects' Story. A competition to design a mural for the foyer of the building was held and the winning entry, Norma Redpath's Areopagitica, remains in place to this day. Melbourne University Press,1958), presented to Robert Menzies on 21 March 1959. 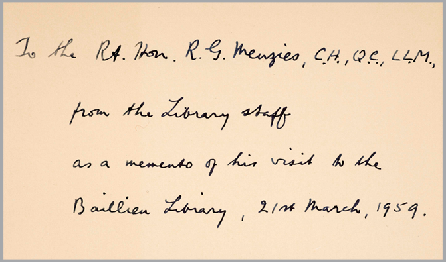 Prime Minister (and University of Melbourne alumnus) Robert Menzies officially opened the new library on 21 March 1959. Lord Baillieu, son of W.L. Baillieu, unveiled the memorial inscription in the library foyer. ..to get library facilities that are worthy of a famous and great university like this is the hardest thing in the world, and therefore this is a great day in the history of the Melbourne University....If you are going to have a great University, then you must have a library which provides the mental, the intellectual pabulum for thousands and thousands of people in the future. A first-class library is the very corner stone of the life of any university. It is at once a store-house of wisdom, a shrine of memory, a seed-bed for the germination, the nourishing of thought and research and a constant spur to action. Between 1969 and 1974, stages 2 and 3 of the development were completed. 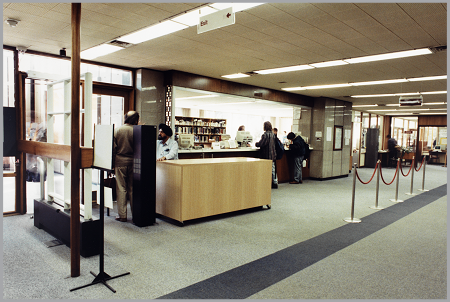 Extensions to the south-west, north-west and north-east corners of the building were added, with the result that library's floor plan grew by over 80,000 square feet. In 2000, the Percy Baxter Collaborative Learning Centre was opened on the first floor, providing state of the art computer facilities and e-learning classrooms. Three years later, the area previously occupied by the Information Resources Access Department was transformed into the University Bookshop. The north end of the ground floor remained home to the Bookshop (latterly the Co-op store) until late 2015. University of Melbourne Archives, 2015.0152.0001. The Baillieu's service facilities have seen numerous transformations over the years. A major renovation of the ground floor was undertaken by Lyons Architects in 2011. The new space highlights elements of its mid-century design, such as the circular staircase and tiled pillars. It offers a flexible learning space which includes bookable rooms and an after hours zone for early morning and late night study. 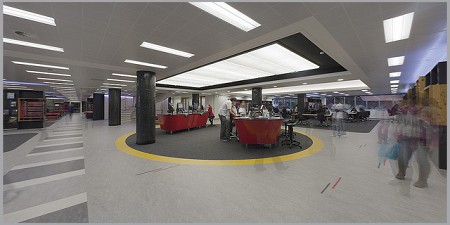 The traditional loans and reference desks have been replaced by a single service desk - designed to optimise collaboration - along with self-service check-out and check-in facilities. The library's reference and high use collections have remained on the ground floor. Lyons were also responsible for the creation of the Noel Shaw Gallery in 2013, along with a flexible space for graduate study and public events. The Baillieu has continued its evolution over recent years, with the north end of the ground floor being transformed into an extended student precinct linking to the prestigious Arts West building. The new library space, designed by NTC Architects, provides over 200 additional seats, bookable computers and study booths, a 10-person project room and after-hours access seven days a week. Meanwhile, the south-west section of the ground floor has now been reconfigured to offer yet more project rooms and flexible study spaces. The Baillieu’s second floor has also been remodelled to add to and improve our study spaces - again designed by NTC Architects. Come and see the completed renovations or have a look at our Projects and Redevelopments website to find out more. 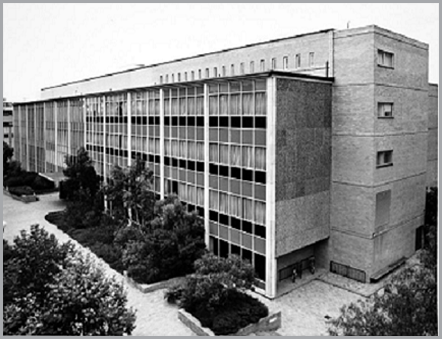 Image Gallery - a collection of vintage images of the Baillieu, including iconic photographs by Wolfgang Sievers. Read A Storehouse of Wisdom (PDF 3.8MB) a publication created for the Baillieu 50th celebrations.